The main reasons I didn’t use the H.C.S.B. for my reading and study, is that it seemed obvious when the translation switched between the two translation philosophies. It was a continuity and flow problem. I’m glad to say, that seems to have been dealt with in this revision. 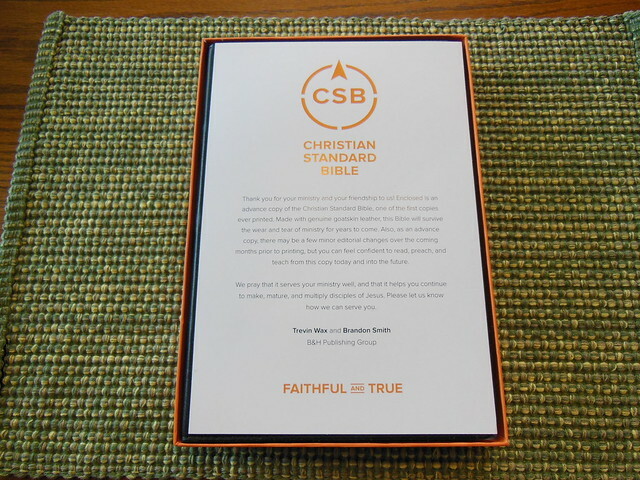 The C.S.B. reads much better. It is more of a seamless blend of the philosophies. As far as being an optimal translation… I guess that depends on your opinion. 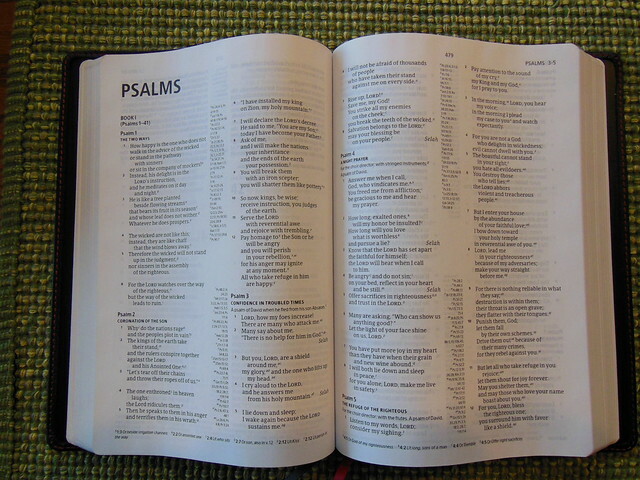 I’ve not needed to have a dynamic equivalent, nor have I needed to have sections of the Bible to be translated as a dynamic equivalent. I’m a man of average intelligence. I have a basic education. 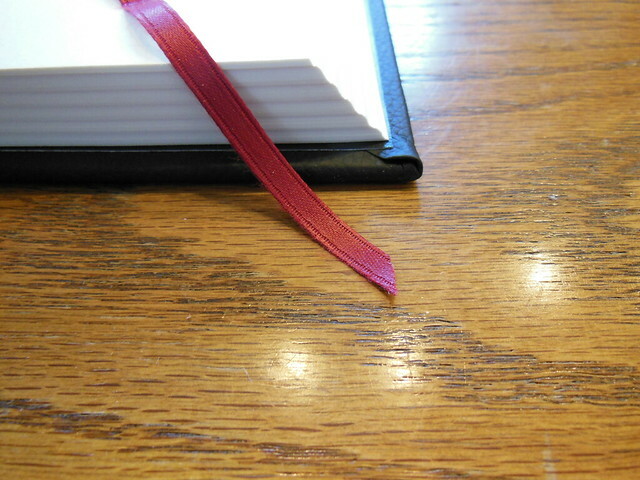 If I come across a difficult passage, I read it again. If I don’t know the meaning of a word, I look it up. 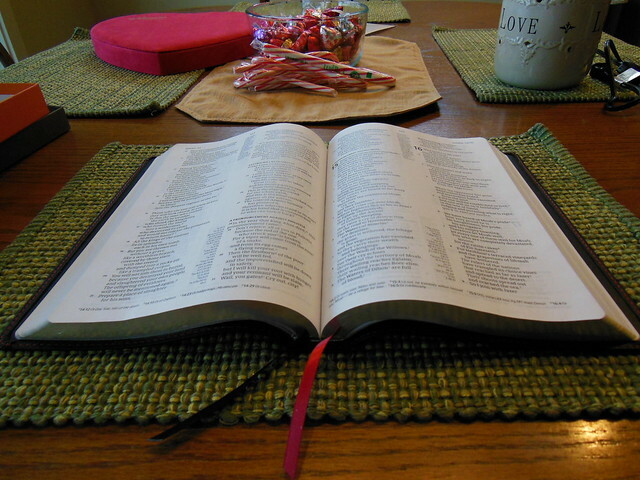 I think we should endeavor to become better students, rather than changing our translation philosophy to make the Bible simpler. 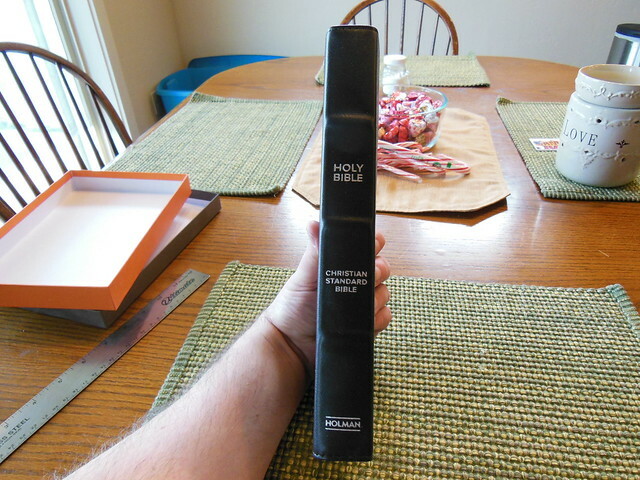 That being said, if I had to pick a Bible that wasn’t strictly a formal equivalent translation, this would be it. For years I have sat by and watched the N.I.V. become a gender neutral mess. The N.L.T. 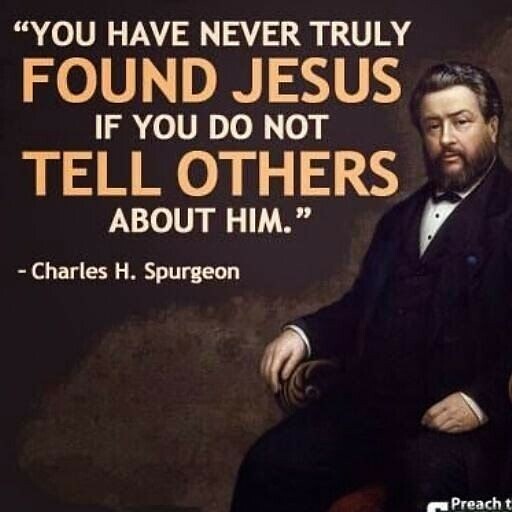 in my opinion is so dumbed down, it has lost the majesty of God’s word. Don’t even get me started on The Message, Passion, or the Voice. As far as I am concerned, if you have a copy of the Voice, you should burn it so no one else can be poisoned by it’s lies. (I have some pretty strong opinions.) So what’s a person supposed to do if they want a translation that is a bit more accessible than the N.A.S.B. you might ask? In my opinion, get a C.S.B. 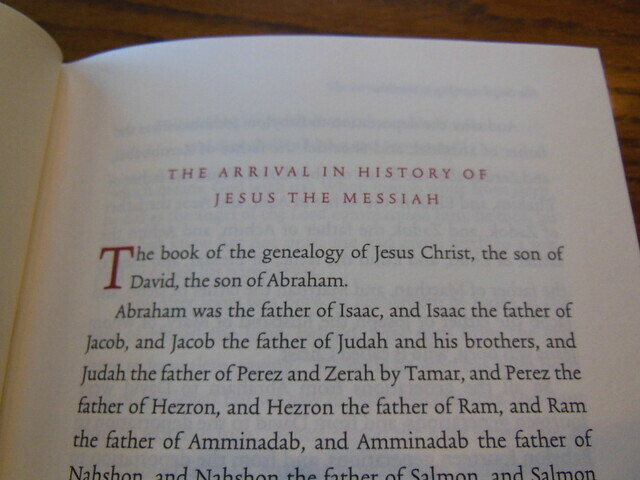 It is everything the NIV used to be. It is accurate, and accessible. 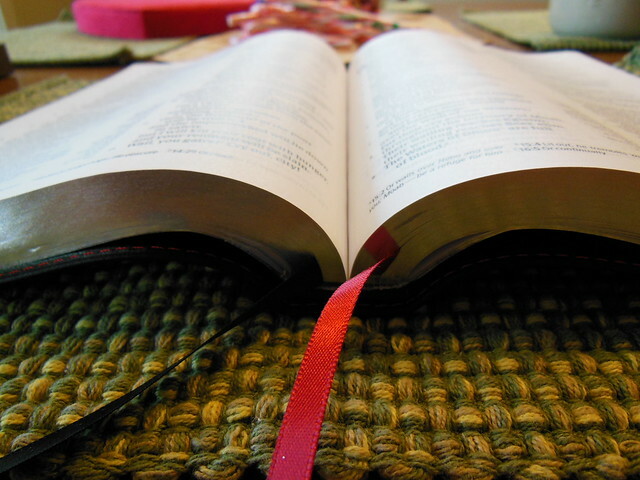 It stays true to the intent of the author (God) and retains the gender contexts of the Hebrew and Greek texts without imposing a cultural hermeneutic on them. I hope you’ll give it a try. 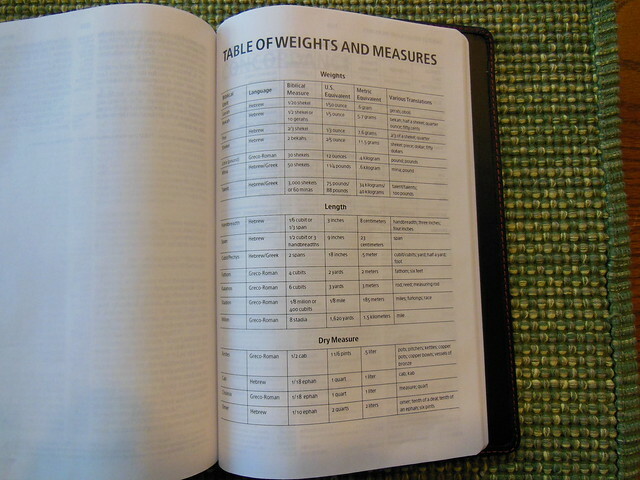 Let’s take a look at the physical attributes of the Bible I was sent for review. Keep in mind that it is an advance copy, so some details might be different by the time this actually is published and sold. 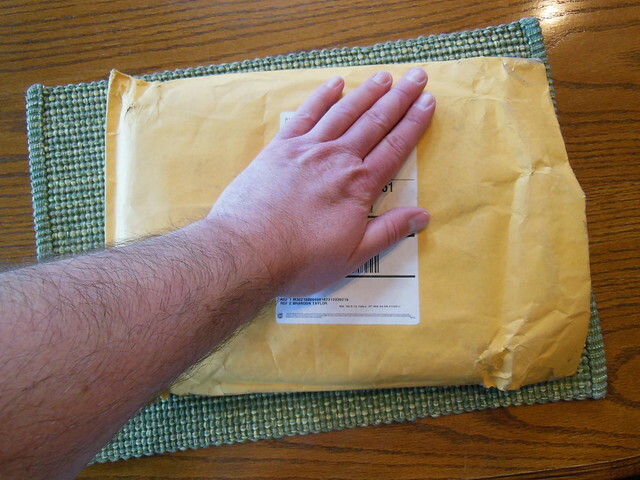 The Bible arrived packaged in a padded envelope. 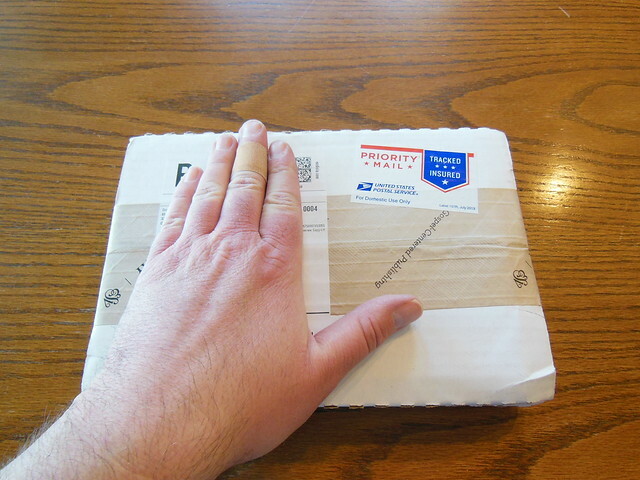 The envelope had some tears in it by the time it made it to me. 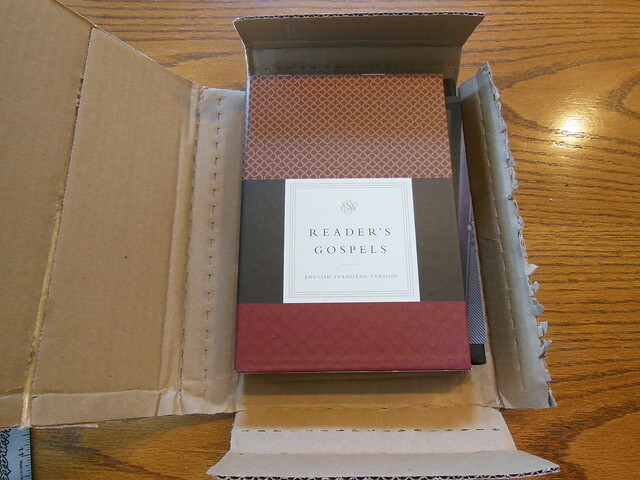 The retail, two piece box also had a dent in it. 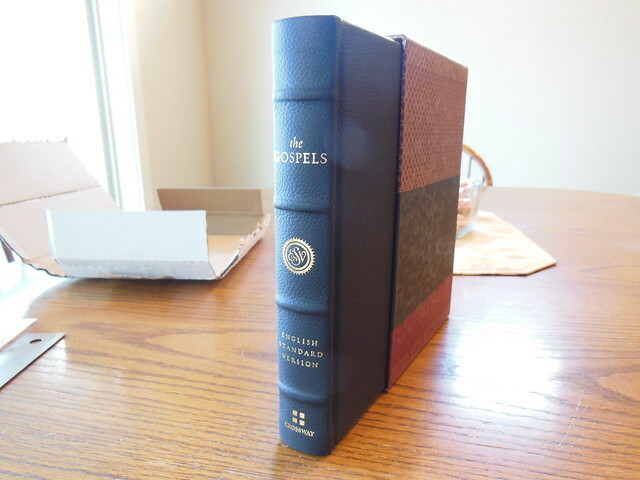 The Bible inside was undamaged and received in new condition. 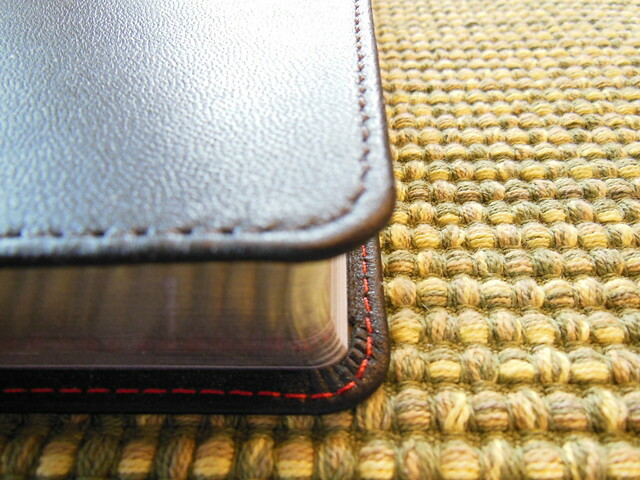 This Bible is covered in an extremely soft and smooth goatskin leather. The grain is very understated. I’ve heard others refer to the goatskin as garment grade. I don’t know how true that is, but I could see how that would be so. 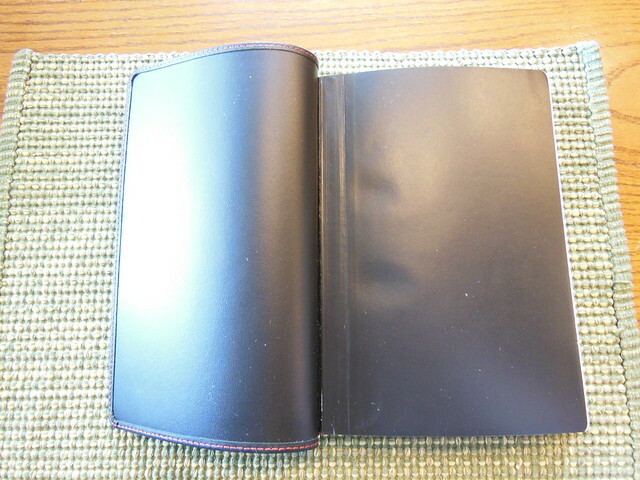 The inner liner is a type of bonded leather. I’m not sure if it is Cromwell or not. I asked someone from Holman. When I find out I’ll post an update. 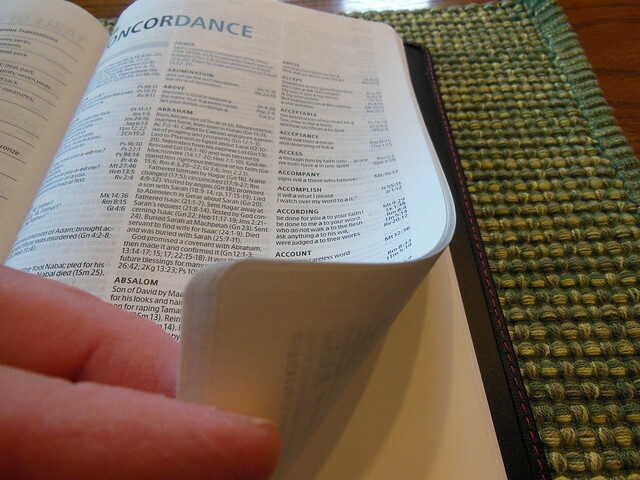 Since this is an edge lined volume, it is very flexible and floppy. 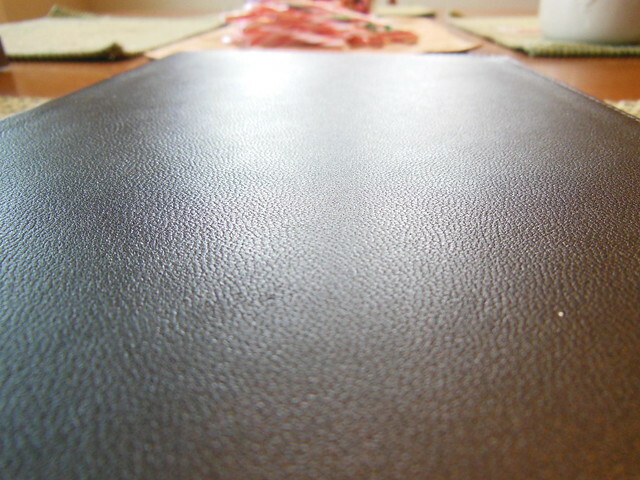 The cover can be rolled up. 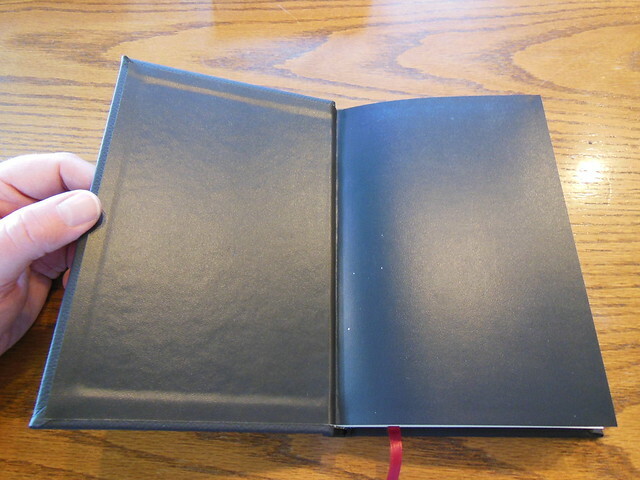 This is an edge lined binding. 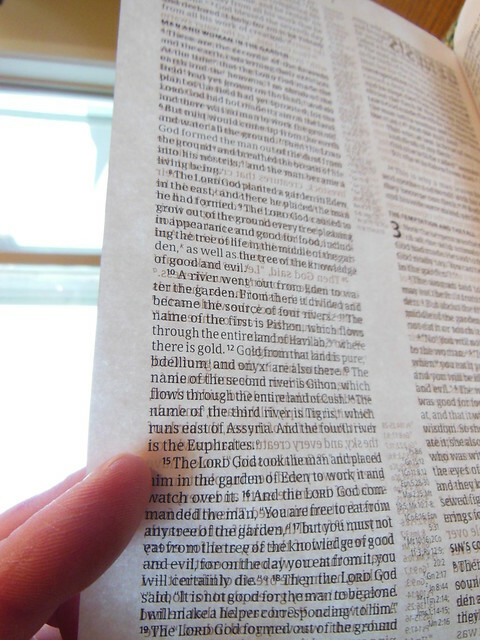 The bonded leather is glued to the text block, and then a piece of vinyl covered paper is glued over that. 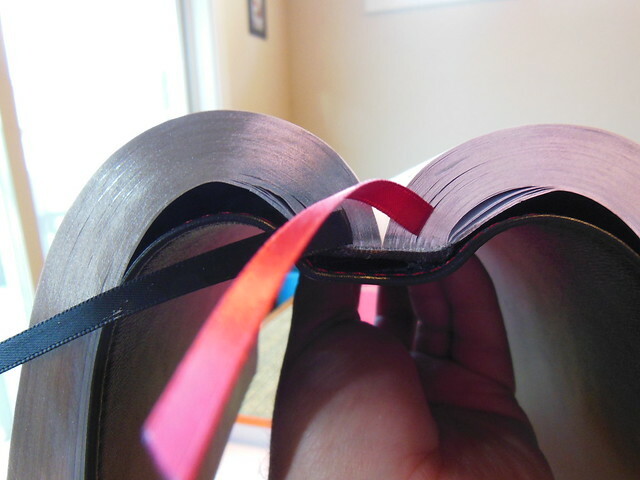 There is a piece of binding tape that reinforces the hinge. This is good and bad. 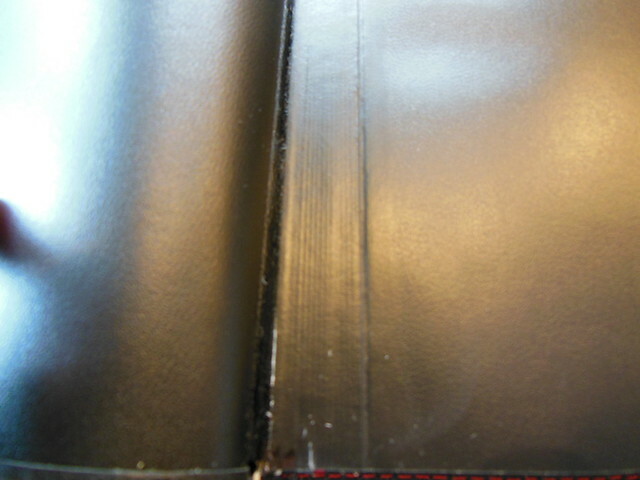 It is good because it will make the binding more durable. 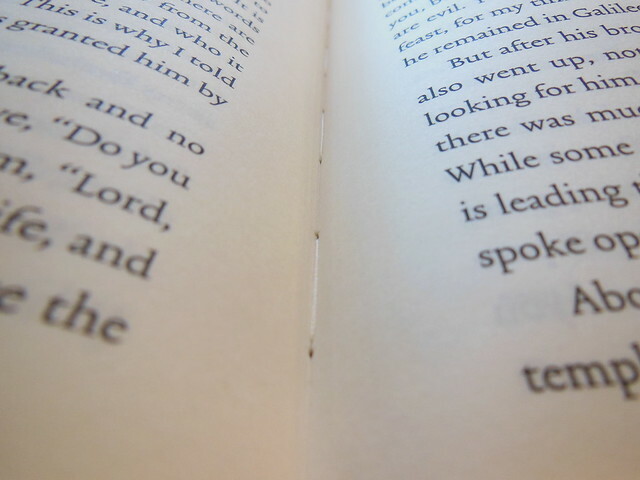 It is bad, because it hinders the ability of the Bible to be opened flat in the first few pages and the last few pages. 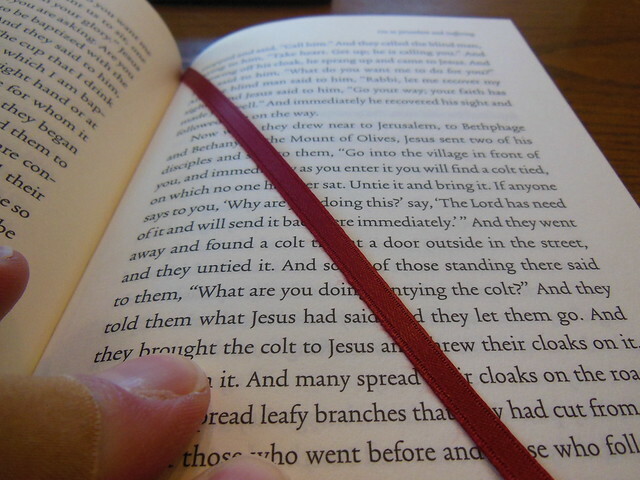 Sometimes you’ll see a more narrow strip of binding tape, that allows the first pages to open more easily. Some don’t even use the tape. 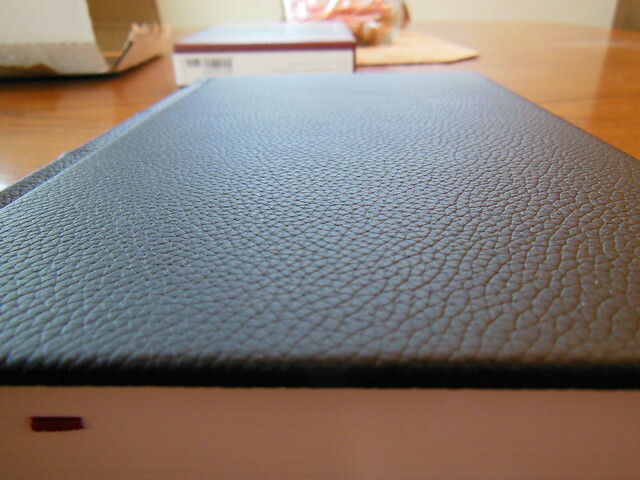 With a bonded leather inner liner it is good that they did. 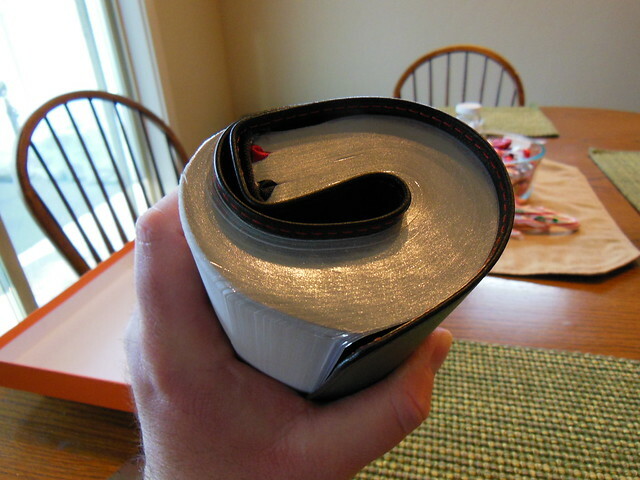 This is still an extremely flexible and floppy Bible. One feature I hope they keep in the production model is the perimeter stitching in red. 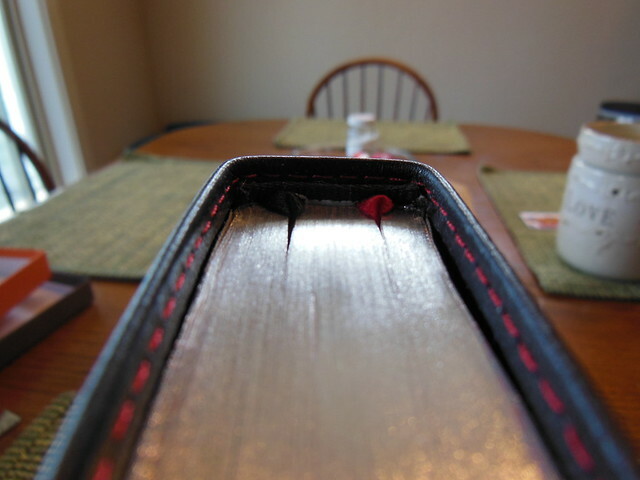 I think it makes a striking addition to the aesthetic appeal of this Bible. The stitching on the front is colored black. On the inside it is red. 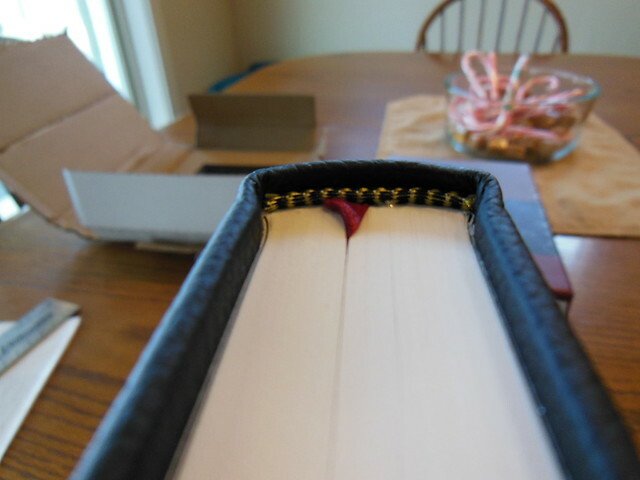 I think the silver page edge gilt was the right decision instead of gold, considering the bold red thread and smooth black cover. They work together. The head and foot bands are a brown color, and don’t really pop. It is easy to miss them. I would recommend red and black colored for the bands to go along with the color scheme. 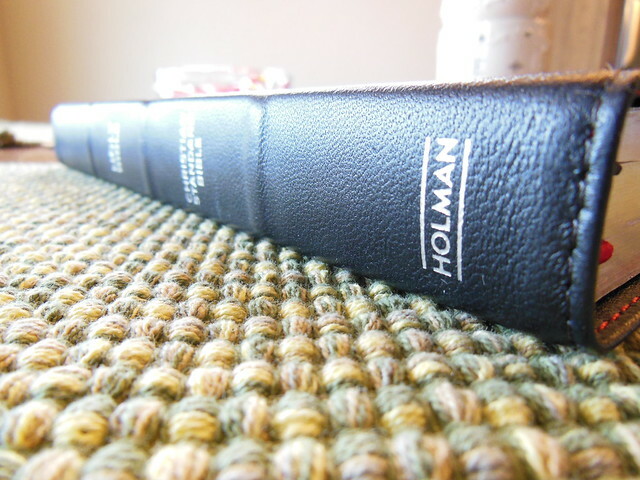 The spine is also ornamented with three spine hubs, and the words, “Holy Bible, Christian Standard Bible, and Holman” hot stamped in silver letters. The area close to the head is left empty. As one of my fellow reviewers mentioned, it seems a bit unbalanced. We will see what they do with it in the final version they bring to market. 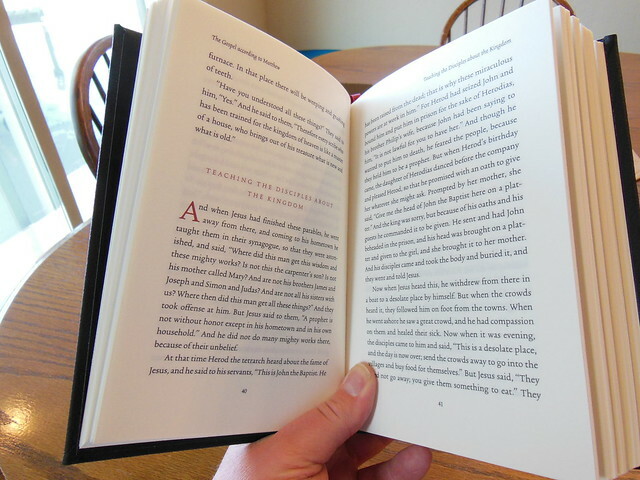 Even though this Bible is printed in China, the quality of the paper and printing is very good. 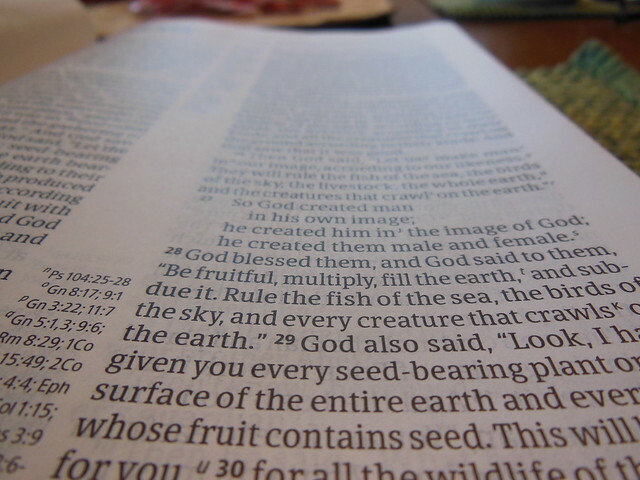 I found the 9.5 pt Bible Serif font to be inked uniformly, having sharp, clean edges, and contrasting nicely with the white paper. The paper was opaque and line matching was employed. 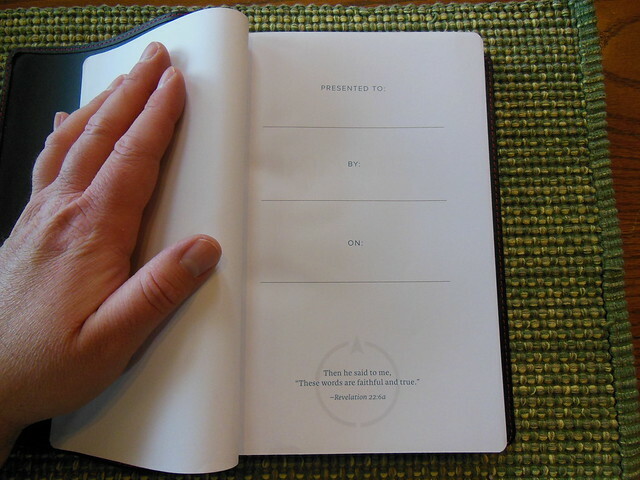 (line matching is when the text on the back side of the page is printed directly over the font on the front side of the page, so there is no background noise bleeding through the paper, otherwise known as text ghosting.) The paper is 30 g.s.m. and rates a very good opacity of 84 with a brightness of 83. 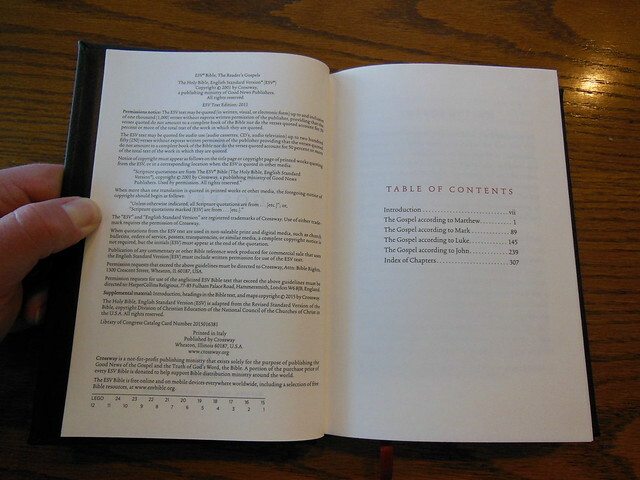 This black letter edition is a double column layout, with center column references. 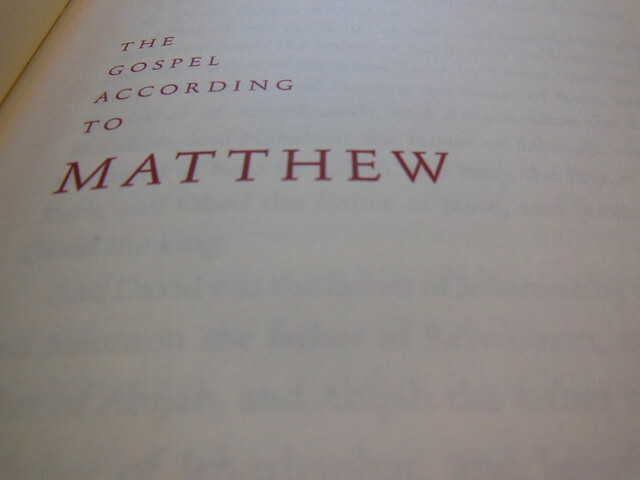 It will be familiar to Bible readers. 2K/DENMARK did fine work with the font and layout. See for yourself how good it is. Here is a single page backlit so you can see how opaque it is. 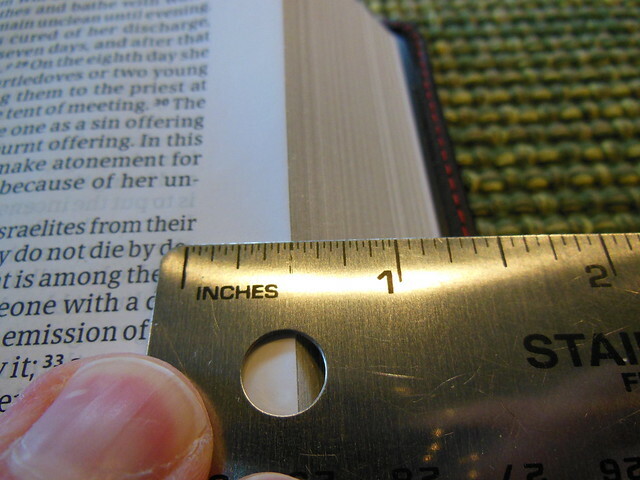 There is about a half inch in the margin for limited note taking. 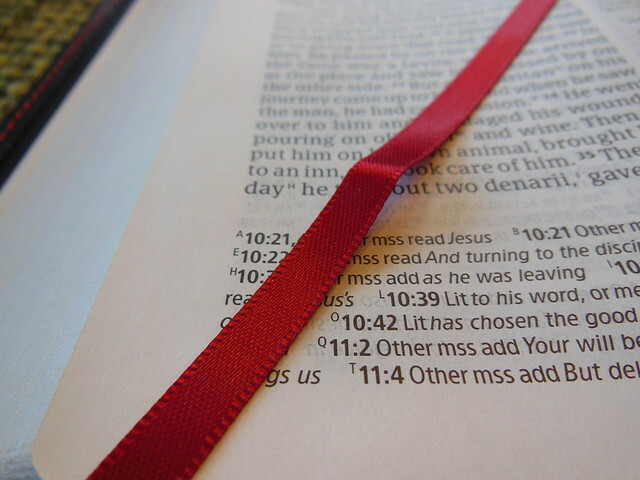 There are two above average ribbon markers. 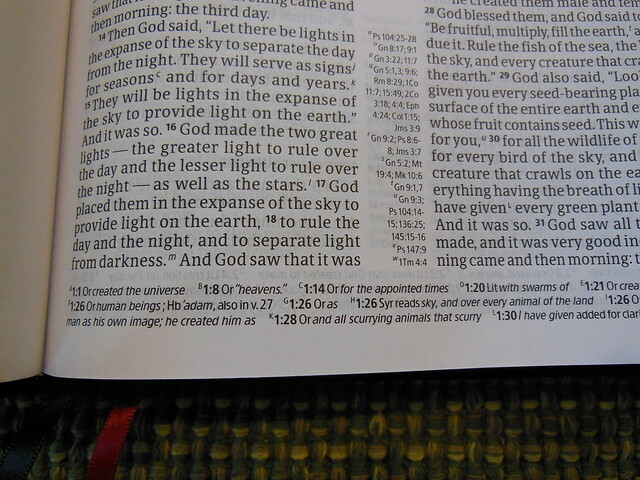 The one for the Old Testament is black and the one for the New Testament is red. 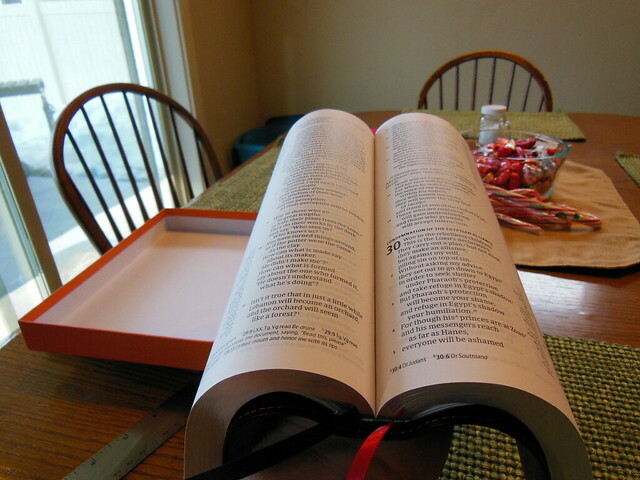 Did I mention how flexible this Bible is? 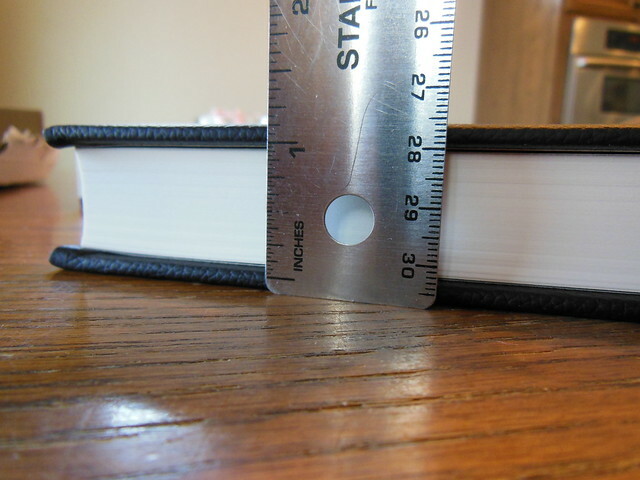 Due to the sewn spine and edge lined binding this thing is super supple, for my alliteration fans. 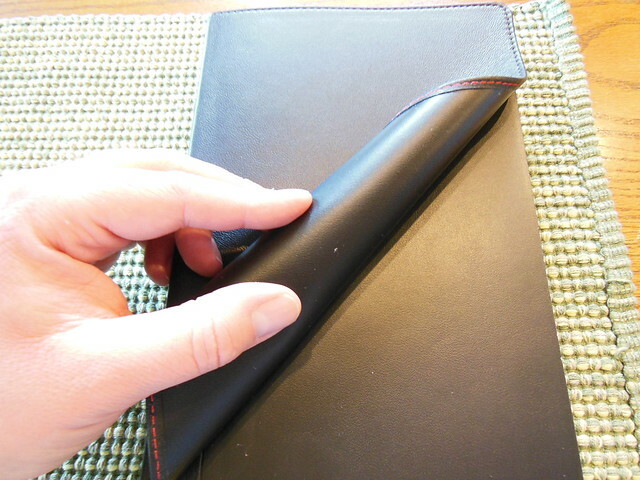 It does open nice and flat, it also can be easy to hold onto with how it can be bent. Take a look. 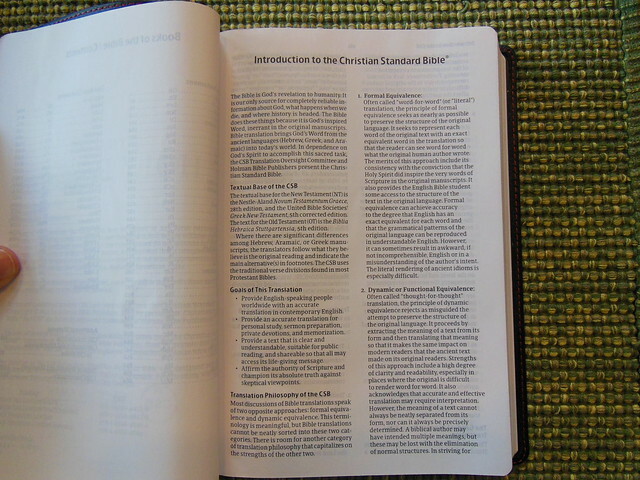 Here is a picture of their robust cross reference system. 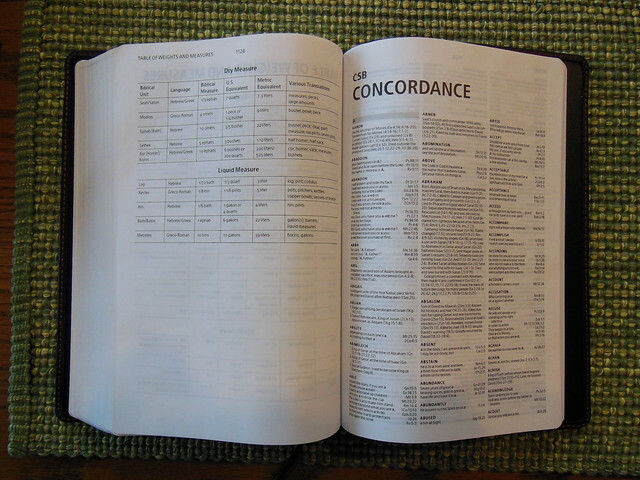 A respectable and useful concordance. 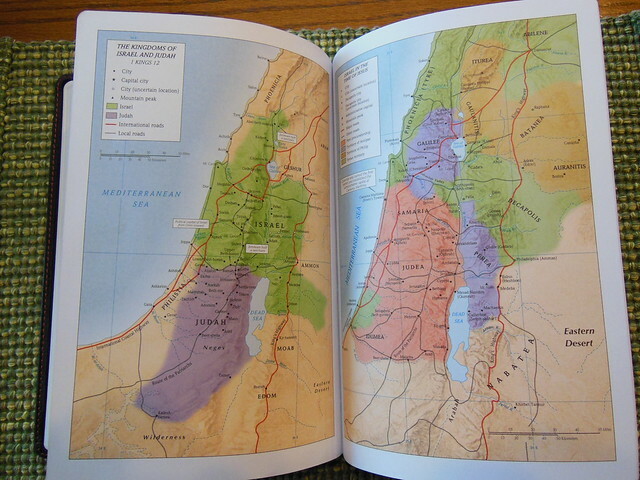 and some well done maps. 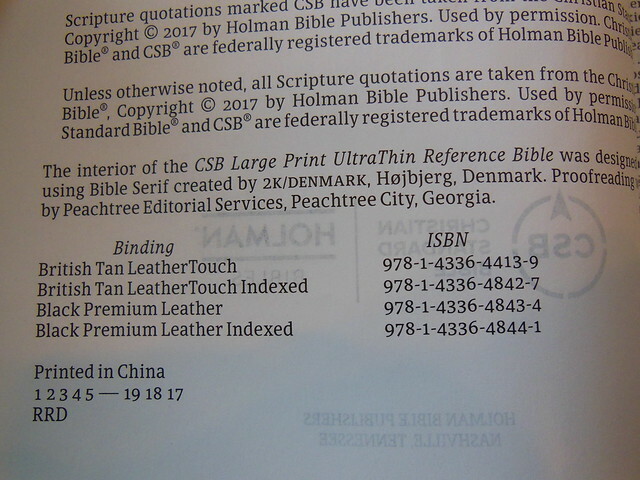 If you are in the market for a large print ultrathin reference Bible, I encourage you to give this one a look. It has all of the features you could want. 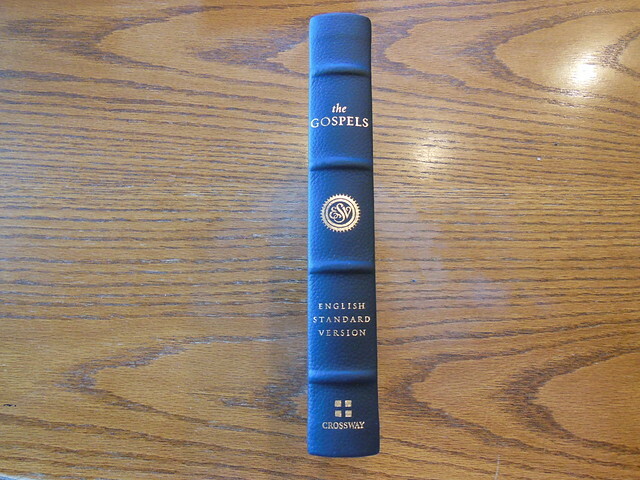 It uses a translation that will speed you along in your studies. It comes in at a reasonable price for the top line model and a very good value for the other editions. You’d be hardpressed to find another one in this segment of the market with all of these features for this price. 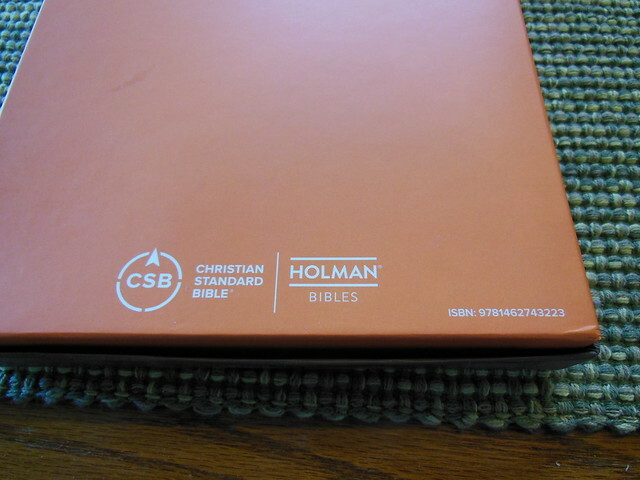 I believe Holman has this edition set to sell for about $139.00 but I am sure sites like Christianbook.com will sell it at a deep discount. 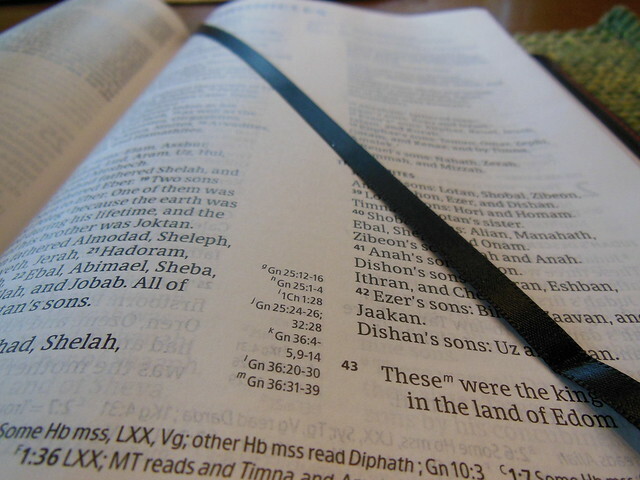 Make sure to check out all of the pictures I took of this Bible on my flickr site. 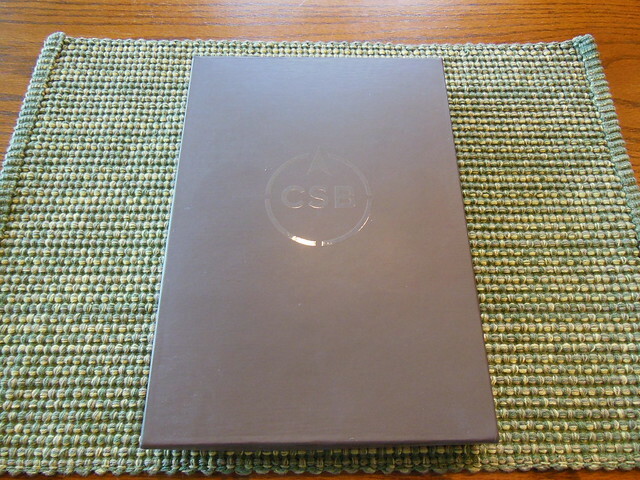 You can read more about the CSB translation on their site, www.csbible.com You could also purchase a copy on Amazon.